Curly hair needs moisture and the number one moisturizer for our hair is water. There are many moisturizers on the market, but there are also products that people mistakenly use to thinking that they are providing their hair with moisture. Here is a list of things that do not moisturize your hair. 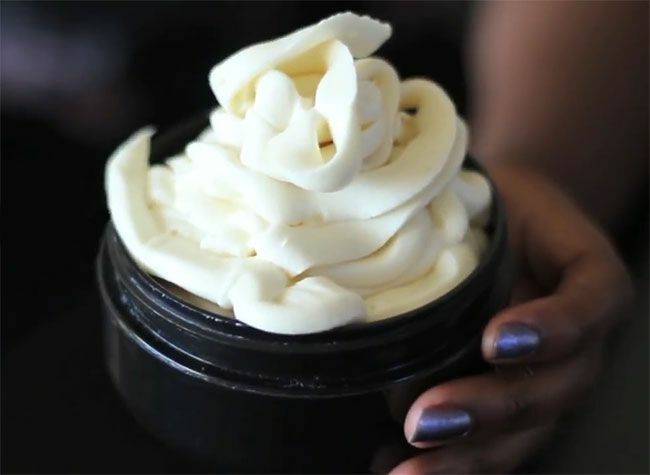 Hair butters are amazing, moisturizing sealants often used for protective styles and in cooler months. While they may have some moisturizing ingredients, they are better suited for sealing in the moisture from water or water-based products like moisturizers, leave-in conditioners, or conditioners. They are usually the last step or used right before your styler. Not only do they lock in your moisture, they also prevent moisture from getting in after you add the butter. Stick to using butters for sealing purposes and you cannot go wrong. No moisturizer in the world will work if it is applied to dirty hair. You have to remove all the pollutants and products from the hair so it can absorb and adsorb moisture. This is why clarifying shampoos are a must to ensure all traces of dirt and products have been removed and then your hair can be ready for conditioning and moisture. Shampoos are not popular in our community, but they are necessary so we can properly keep hair healthy and hydrated. Many incorrectly associate oils with moisture, but oils, especially carrier oils, simply seal the hair to lock in moisture you have already applied. A select few oils are capable of penetrating the cuticle layer and nourishing the entire hair shaft, such as coconut oil, avocado oil, and olive oil, but many will simply sit on top of the hair. Before applying an oil, do your homework to learn if it is one that actually penetrates the hair shaft. We published a list of moisturizing oils, sealants, and sealants that impart a little bit of moisture here. We curly girls love our stylers and if it wasn’t for my Holy Grail gels, I would be a frizzy fool, but do not assume that they are moisturizing enough to apply alone. Your styler may have some moisturizing ingredients, but their primary function is to give hold. Curly hair needs all of the moisture it can get, so apply a leave-in before you apply a styler. Our hair is made of hard protein keratin and needs hydrolyzed protein to fill in the damaged hair cuticles, but what protein does not do for our hair is moisturize it. They are used to rebuild and strengthen hair, not moisturize. You need a proper balance between proteins and moisture for healthy hair, and that requires two different types of products. Never assume a protein treatment will add moisture or you may end up using them too often, which can lead to dry, brittle strands. There is a love/hate relationship between many curlies and their silicones. We have been told they are the devil and will cause buildup, but it is just non-water soluble silicones that cause that problem. Many curly girls use and love water-soluble silicones. Water-soluble silicones like dimethicone copolyol or dimethicone PEG-8 phosphate provide great benefits to our curly hair and are able to be removed without using harsh sulfates. The problem lies in the belief that since these silicones provide great slip to hair, they actually moisturize hair by making dry and damaged hair look and feel healthy and smooth. Know that the sole source of hydration is water. Humectants help to attract moisture, oils and silicones can help retain it, and protein reduces moisture loss by temporarily repairing the hair shaft. Water-based products are your best friends, ladies. Don’t forget to read your labels, especially for moisturizers, refreshers, and leave-in conditioners.